I don’t know about you, but where we live it has not been a hot and sunny summer! We’ve had quite a few humid and rainy days, scattered in with some nice weather, but it’s been 90 degrees only a couple days in the past month or two. 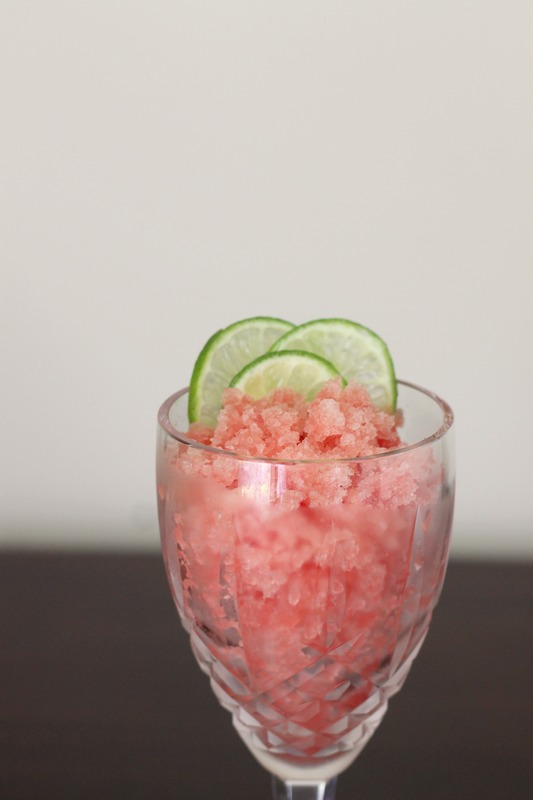 So honestly, there has not been so much of a need for refreshing desserts like this granita, although that has not stopped us from making it! Watermelon is one of our favorite fruits, and it really shines here. There’s a nice tart edge thanks to the lime juice as well. But the best part of this dessert is that it’s extremely easy. You can multiply the batch to feed a lot of people (it’s not like when you are making homemade ice cream and can only make a little bit at once) and all you really need in terms of special equipment is a freezer and a food processor/blender/immersion blender. We hope you get a chance to try this granita before the summer is over (15 days for us, so sad…), because it is really delicious! Add sugar and 1/2 cup water to a small saucepan over medium-high heat. Bring the mixture to a boil. Reduce heat to medium-low and let it simmer for about 3 minutes. Remove from heat. Place sugar mixture in a small bowl and let for about cool 10 minutes. Chill in the fridge for about 30 minutes, or in the freezer for 15 minutes. 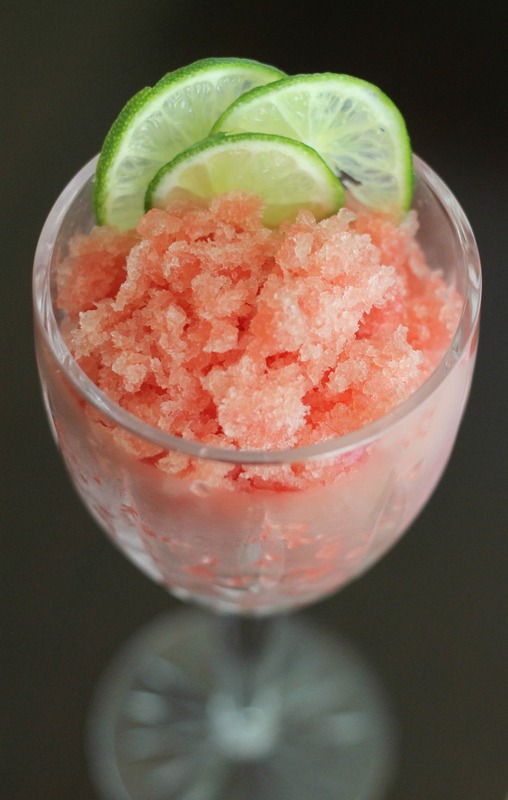 Blend together sugar mixture, watermelon, and juice (in a food processor, blender, or immersion blender) and process until smooth. Pour watermelon mixture into an 11 x 7-inch baking dish. Cover and freeze 3 hours. Stir well. Cover and freeze at least 2 more hours or overnight. Remove mixture from freezer and let stand at room temperature for 10 minutes. Scrape the entire mixture with a fork until fluffy. If you like, serve with lime wedges. Enjoy!